TEMBO: NO NEED FOR CHANGE! 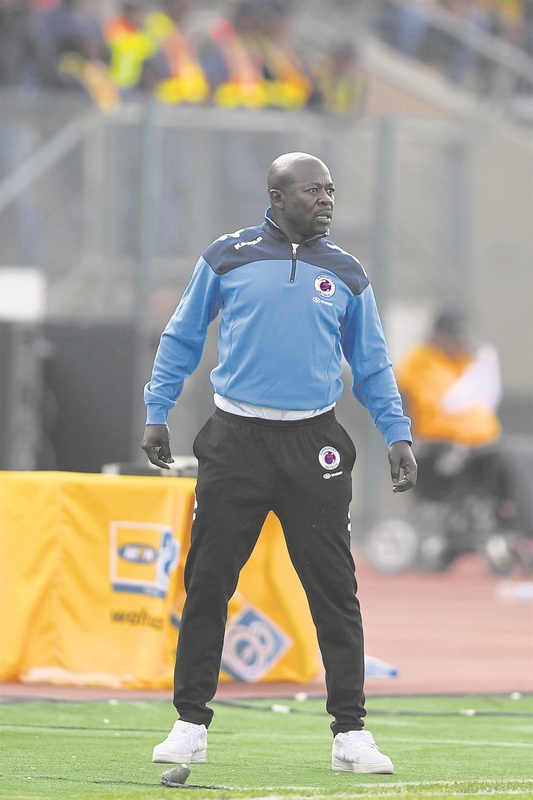 SUPERSPORT United coach Kaitano Tembo says he will use a cautious approach when his charges tackle Soweto giants Orlando Pirates in an Absa Premiership match at Orlando Stadium on Saturday. Tembo is aware Bucs will come to them with guns blazing, aiming to heal the wounds of getting booted from the MTN8 Cup by United. Matsatsantsa a Pitori have had a great start to the season, as they also knocked out Pirates’ rivals Kaizer Chiefs 3-2 on aggregate in a two-legged semifinal to reach the Wafa Wafa final. This will be an interesting game, considering Pirates are two points behind SuperSport with seven points from five games, although the Tshwane outfit has a game in hand. The teams drew goalless in their two league fixtures last season. However, he emphasised that they won’t change the approach that has brought so much joy to their fans. However, Tembo has warned his players to keep their feet firmly on the ground – the season is still long. United will be without striker Thabo Mnyamane, who’ve only recently started jogging as he recovers from injury, while defender Onismore Bhasera is doing light training after coming down with a fever.